Snapfulfil is a proven SaaS/Cloud Warehouse Management Solution (WMS), built exclusively for the web, based on over 35 years of WMS experience. Unique to Snapfulfil there are no upfront Capital Expenditure requirements and no long-term contracts. Included in the low monthly subscription are the software, rapid implementation services (roughly 45 days), essential RF hardware, training, support, and host integration needed to run your business. A Return on Investment (ROI) is typically found as soon as go live as the solution can be Self-Funding via operational improvements. 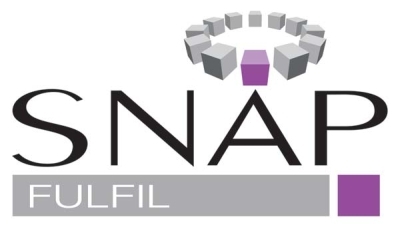 Snapfulfil provides significant value for Small/Medium sized businesses (SMB) to Enterprise clients!